Celebrating the vibrant range of sweet soups and traditional desserts, Ming Fat House’s latest desserts-focused restaurant Eat Darling Eat has recently opened its doors in Causeway Bay. The restaurant is set to revamp dessert classics with new twists, using reinvented forms and presentation. Located at Fashion Walk, the new restaurant concept spans a 1,300 square-foot space richly decorated with colourful stickers and creative food snapshots, embellishing the post-modern era interior design. The restaurant will bring a new twist to traditional desserts, created and crafted by the establishment’s executive chef Jason Luk. The eclectic dessert menu puts a spin on local classics, with creations such as pineapple buns filled with pineapple custard within. Chinese sweet soups are reinterpreted in the form of plated desserts, as the ‘sweet potato’ pairs a chocolate cake with taro ice cream, ‘red bean’ mixes tangerine peel soup with matcha ice cream, and the ‘papaya’ combines snow fungus, candied papaya, and mascarpone cheese. 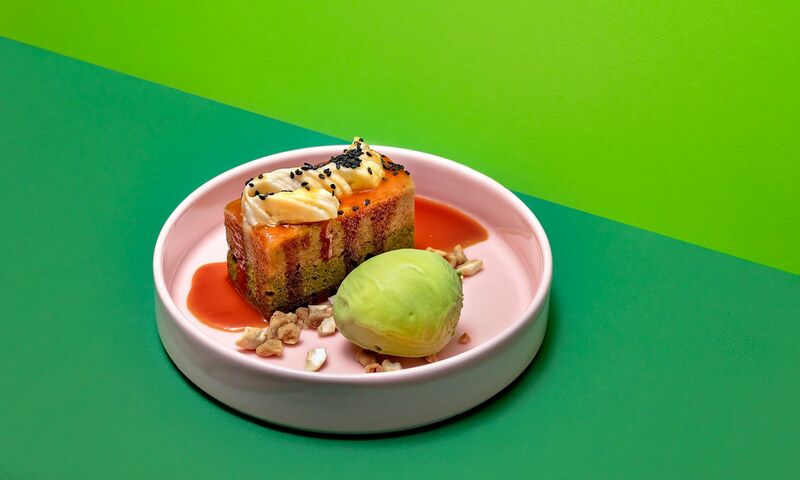 The establishment’s new interpretation of lava cake fills a Valrhona dark chocolate cake with sweet walnut soup, while the matcha cake pairs a sweet caramel sponge cake with caramelised bananas and matcha ice cream. Guests can also indulge in homemade frozen treats such as double-strength milk ice cream infused with Chinese rice wine, or Sichuan pepper flavoured ice cream complemented with candied bacon. Eat Darling Eat also offers savoury options on its a la carte menu, as well as a signature lunch menu, as well as a selection of coffee, tea, and cocktails.